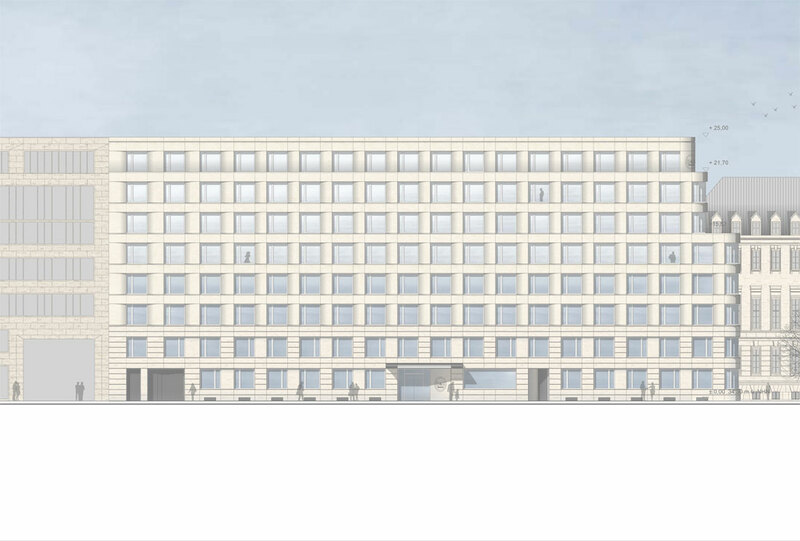 The property for the new B & B Hotel in Berlin Tiergarten is located on a prominent site in the city. 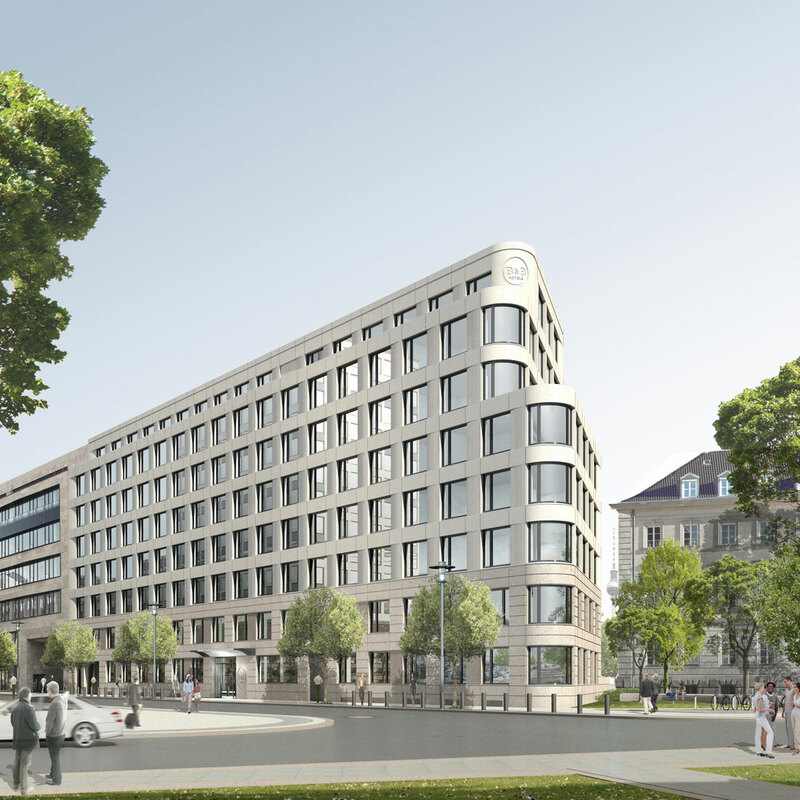 Overlooking the Landwehr Canal and the Charlottenburger Gate, next to Ernst-Reuter-House, the new hotel will become a prominent building block on the 17th of June Street, the most important east-west axis of Berlin. 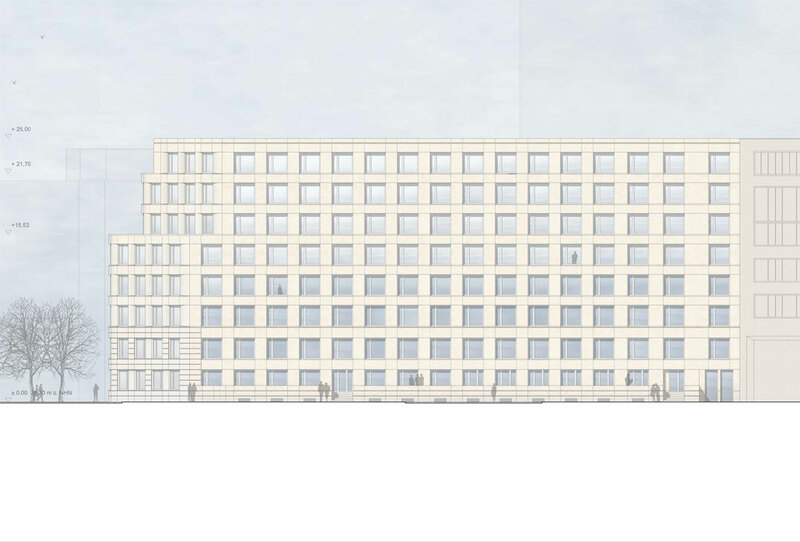 Ernst-Reuter-House and the existing residential buildings are the historical foundation for the urban planning concept of the Spreestadt and the KPM development area and which are further built upon with this design. 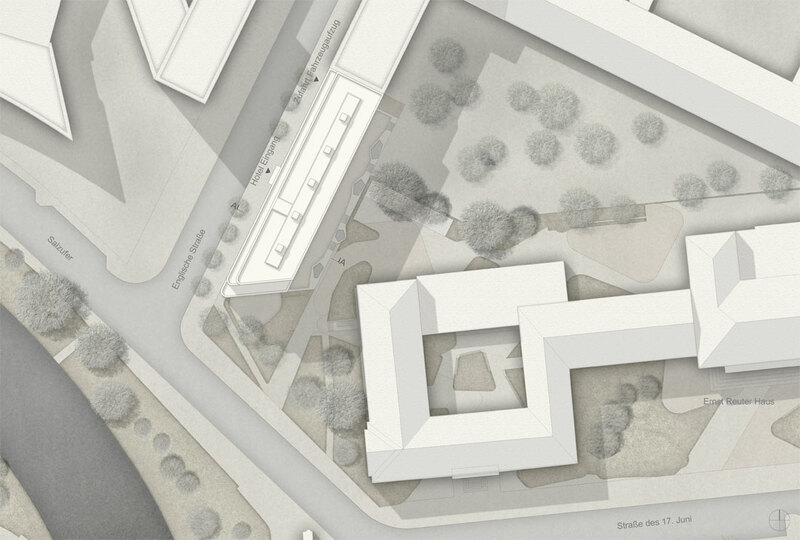 The proposal becomes the keystone of the development, providing the Salzufer with a public space between the geometry of English Street and Ernst-Reuter-House. The design of the square picks up the concept of the adjacent public spaces and completes them, strengthening the character of the well ordered neighborhood. The otherwise unusual tapering of the southern gable wall of the building naturally forms a connection with the neighborhood of Ernst-Reuter-House and the public square. 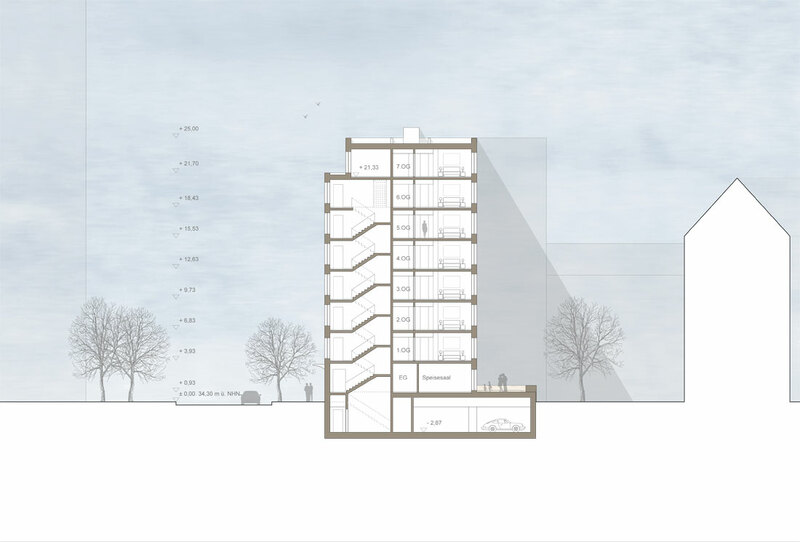 The sharp corner has thus been rounded off in our design to calm the acute geometry of the site and create a smooth, well-designed transition to English Street. 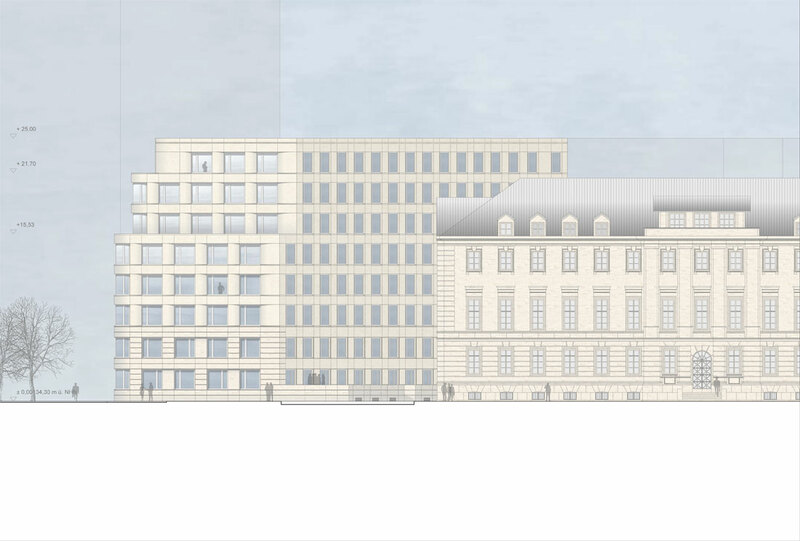 With the continuation of the building silhouette on English Street and stepping back the building volume towards Ernst-Reuter-House, the goal of developing a harmonious and memorable building is achieved quite naturally.